Located just minutes from downtown Athens and UGA campus, the Ikon neighborhood surrounds residents in the true comforts of home. Within our gated community, residents and their friends enjoy our resort-style pool, outdoor spa and poolside grill, and take full advantage of the 24-hour JIM fitness center and full-service business center with a JOE coffee bar featuring Starbucks® coffee. Pets love the Ikon, too, thanks to our green-grass dog park with a new agility course. 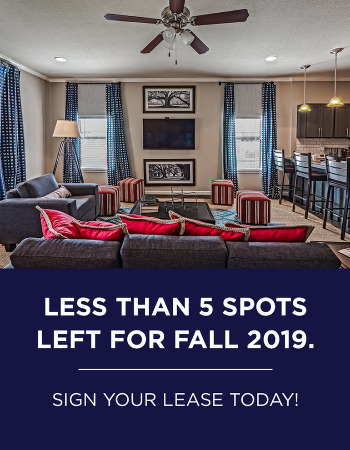 Beautifully spacious two, three and four-bedroom townhomes are outfitted with walk-in closets, fully equipped kitchens and a Keurig® Coffee Maker in every home. Weekend shuttles and a city bus stop in front of the property provide convenient transportation to and from the UGA campus and our surrounding city. Our friendly staff is eager to meet resident needs and dedicated to providing the absolute highest quality in customer service. Ikon offers a fully gated, pet-friendly neighborhood, where neighbors quickly become friends. Our welcoming 2, 3 and 4-bedroom townhomes offer all the comforts of home, including full-size kitchens, walk-in closets and private bathrooms. Our resort-style pool and outdoor spa is unlike anything in Athens - complete with flatscreen TVs and a sound system, so you can relax and stay connected. Get active in our 24-hour JIM fitness center equipped with the newest cardio and weight machines, or check out our private spin and yoga studio with unlimited Fitness on DemandÂ® exercise classes. The Ikon community is vibrant and full of energy, thanks to the events and local cuisine that we treat our residents to.